I'm so excited to share with you guys a space in our living room that has been somewhat neglected for the past year or so. Well, really it's the wall that's been neglected, we had chairs and a table but nothing to adorn the walls with. 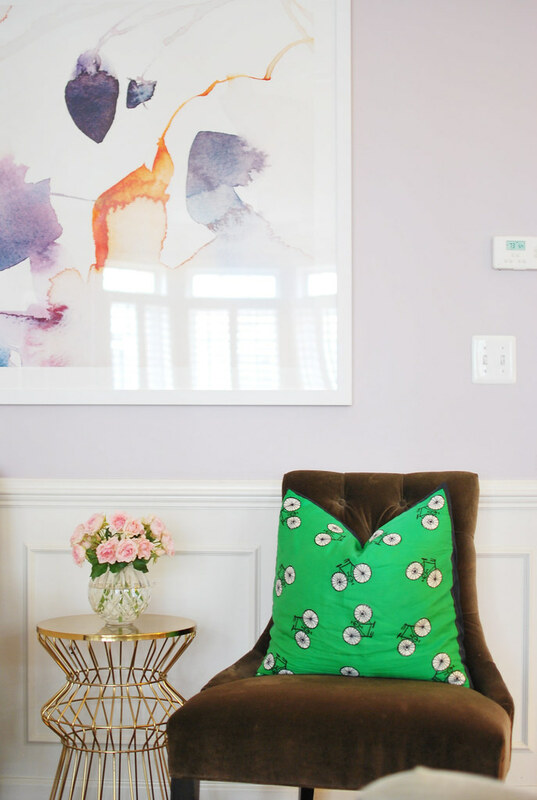 I was torn about having a gallery wall there, but honestly, a gallery wall can be a pain and I really didn't want to collect artwork for such a large space. Steve and I are pretty picky when it comes to artwork, so you can imagine how difficult a task it would be to have a gallery wall of pieces that we both like. Yea, it would take waaay too long. The best solution for this wall was a large piece of art, to really make a statement and to take up the whole space. We kept looking around for an original painting but the size of the piece would mean that whatever painting we found would drain our bank account, so we tossed that idea out the window. Then I remembered that Minted, an online marketplace connecting you with independent artists from all over the world (they source their pieces through on-going art competitions, so you know it's good stuff! ), has a great selection of artwork and maybe, just maybe Steve and I could agree on a piece for the living room. And it took us no time at all to decide on a piece that we both love. 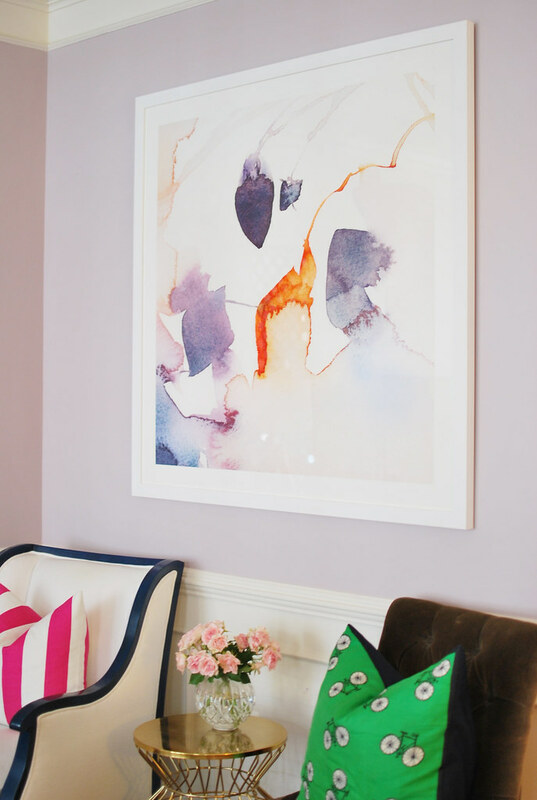 We found this watercolor abstract flora series fall 1 print and instantly knew that it was perfect for the large wall in our living room. 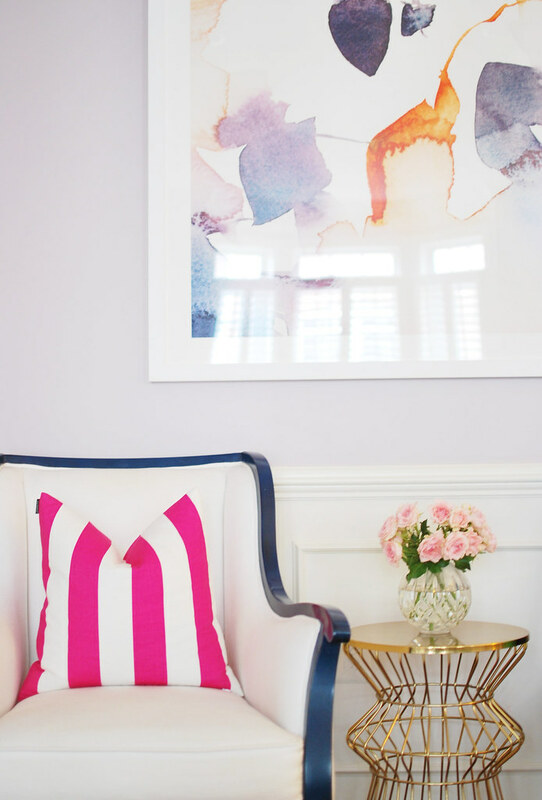 We love how the purple tones echo the wall color, and that there's a pop of orange to add some punchiness. The versatility is another thing that we love about this print. 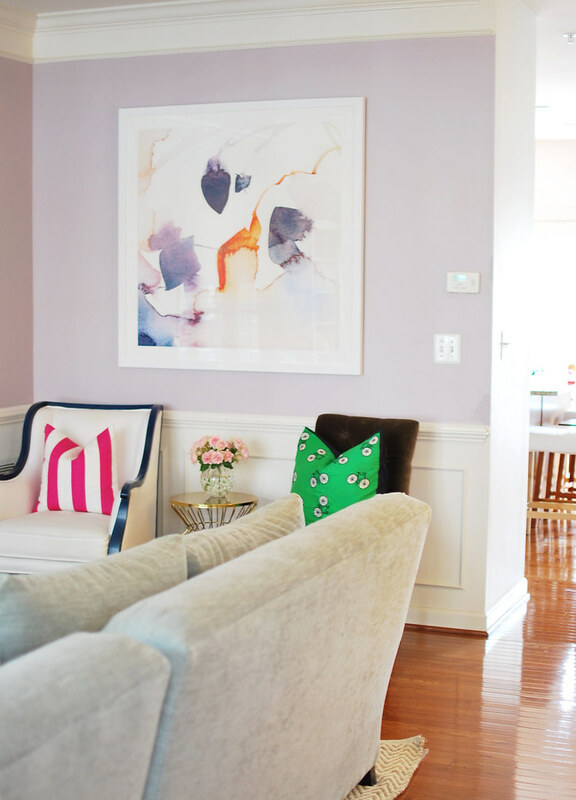 Because it's an abstract piece, it can be moved around the house if we feel like switching it up around here. It's not a one-size-fits-all piece and I think that's another reason why we love it. 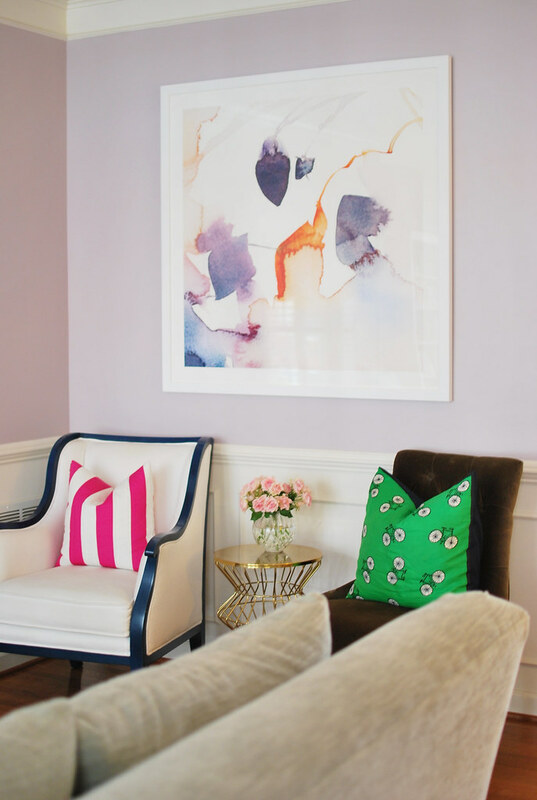 If you're getting your house ready for the holidays and find that you want to give your house a refresh but don't have a ton of money, switching out artwork is a great and affordable way to revamp your space. It instantly transforms a room and isn't expensive to do. Minted has some great upcoming promotions that I think you'll love. OMG it is sooooo gorgeous!